Following the negotiated withdrawal of opposition forces from Aleppo in December 2016, the picture of life in the city has almost vanished from the media and few permits are issued to journalists enabling them to gather their own impressions. The worst unkindness we could offer to Aleppo now, however, is to write the city off by overstating its ‘destruction’. If Aleppo could survive Tamerlane’s sacking in 1400, it can recover from the events of the recent past. UN figures indicate that as of April, over 140,000 people were registered as residing in the previously opposition-held sectors of the city. There, life remains apocalyptically grim with little power or water, let alone health and educational services. Few apartment complexes are habitable as a basis for long-term housing. Life still depends heavily on aid handouts from the UN and other charitable organisations. The USD billions needed to rebuild the city’s housing are at best a pipe dream. Any semblance of a safe environment must contend with the continued presence of militia remnants who now freelance as criminal gangs extorting, plundering and looting. In these circumstances, is it possible to hazard an evaluation of Aleppo’s rich architectural heritage after five years of unrestrained conflict? We know from satellite imagery analysed by UNITAR that damage to the historic walled city is severe but patchy compared to the comprehensive levelling of much of the civilian housing to the east of the city walls. 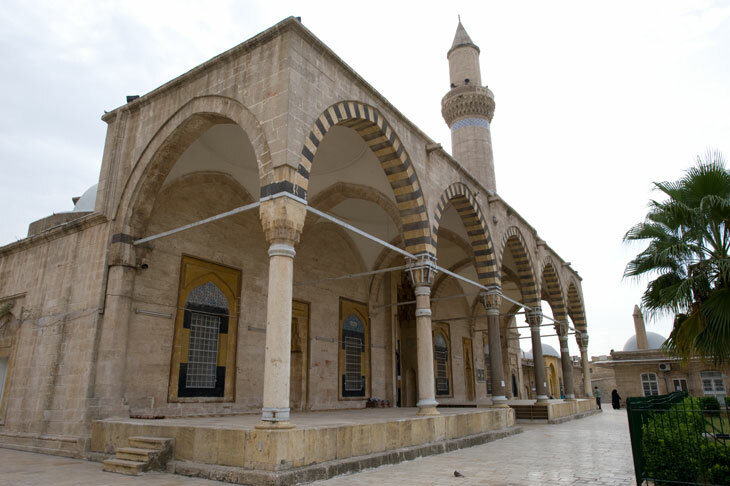 Several of Aleppo’s major monuments, such as the minaret of the Great Mosque, have been razed. But while 45 or so of the 500 historic buildings in the city centre have suffered damage which could be classed at the catastrophic end of the scale, most of the remaining 90 per cent could probably be restored by repairing surviving structures. This suggests that many of the damage estimates that have passed into the record over the past six years miss the mark. Much of the confusion has been driven by uncritical recycling of social media descriptions such as ‘destroyed’. In the case of such massive structures as the Aleppo Citadel, the damage, while significant, has clearly touched only a limited part of the fabric. By contrast, other cases of real destruction have passed with little notice. In the ceremonial zone facing the great gateway to the Citadel, the pulverisation of buildings by 11 or more ‘tunnel bombs’ set by opposition forces, has gone relatively un-remarked. More than five buildings in that area have been reduced to nothing but dust and rubble: the rest of their limestone structures have been sucked into massive holes blasted by TNT packed into passages driven below the area’s mosques, madrasas, civic buildings and khans. It is this pointless application of explosives in military terms which has caused the most extensive losses to the city’s historic core, including two mosques designed by the great architect of Suleiman the Magnificent, Mimar Sinan. Reconstruction should not a be a dirty word. Nor should we timidly avoid accusations of privileging the city’s historical treasures when hundreds of thousands of Allepines need somewhere to live. If the city is to be truly revived, the two goals go hand in hand. The challenge is mind-boggling in its intricacy. An official steering committee has been set up to prioritise reconstruction work in Aleppo. To cut through the myriad rules and consultative processes that go with an ancient city fabric supported by hundreds of years of religious endowments, as well as the obligations attending a World Heritage environment, will require careful handling to avoid either paralysis or a free-for-all. The clearance of rubble, sorting out which stones could provide a basis for anastylosis (rebuilding using original materials), is an obvious place to start and a means to provide employment. This is essentially a job for Syrians and can stimulate a revived construction industry; it should not be a bonanza for foreigners, though clearly external funding would be welcome. Expert organisations with a long and sound track record in Syria, such as the Aga Khan Trust, would be invaluable, but we need to avoid programmes that rely on the assumption that experts from abroad are more sensitive to the task of reviving the city. Technological aids such as 3D re-imaginings of buildings can play a role in facilitating reconstruction, by letting experts peer inside now-collapsed buildings to see how they worked in structural terms. 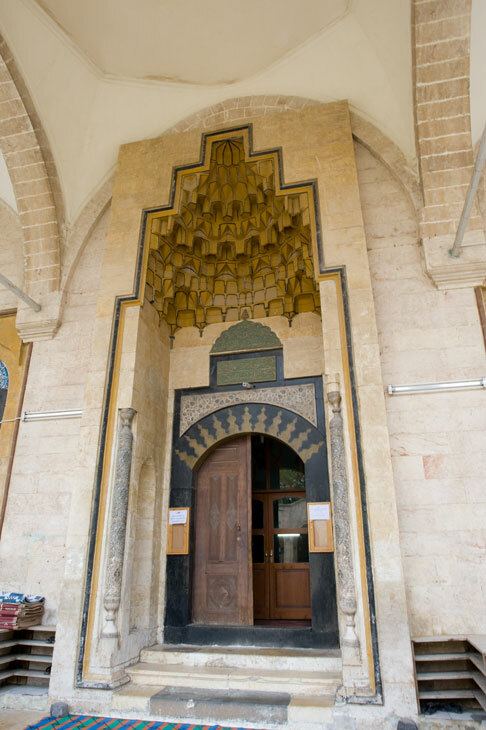 They cannot fire the sort of enthusiasm for Syria’s past that the original buildings inspired. Putting money into faux arches and 3D models vaguely mimicking historical structures does little more than salve the consciences of outsiders whose nations have encouraged – even funded and armed, then walked away from – the conflagration that grew to overwhelm Syria. In fact, most tourists who visited Syria in the decades before 2011 can tell you that it’s not just the monuments that inspired their insights into the country’s key role in history. It was the people, their genuine welcome for strangers of all cultures and their willingness to see in their own multi-confessional and multi-ethnic background a society which could give context to the tortured complexities of the region. Syria used its vast range of fortresses, religious buildings, palaces and khans to send out a comprehensive picture of a society which didn’t simply privilege one faith or ethnicity. This is why it aroused the deep hostility of those who wanted to flip the Middle East jigsaw into a new ‘Year Zero’ and why so many external players brought their own agendas to Syria. The Syrian conflict may still have some time to run. Just beyond the western outskirts of Aleppo lie forces hostile to any return to normal life in the city. Sadly, the world’s media, having once so embedded itself in the fate of East Aleppo, over the past eight months has gone quiet on the aftermath. Syrians, like the Lebanese 28 years ago, have a great capacity for getting on with it when it comes to restoring a semblance of normal life and economic activity. Rehousing them, reinstating services and repatriating the millions who have fled beyond Syria’s borders, will be a huge task but let’s not complicate it by spreading a picture of the ‘destruction’ of a society that has a resilience that few outsiders could imagine. Ross Burns, Australian Ambassador to Syria in the mid 1980s, has written extensively on the history and archaeology of Syria including the first history of Aleppo in English (Routledge, 2017), about to be re-issued as a paperback. He maintains a website www.monumentsofsyria.com that, inter alia, has documented the level of damage to the country’s monuments since 2011. I have seen with my own eyes the beauty of historical Syria and now all that history destroyed and may not be restored to its original beauty. What a shame.